BROOKINGS, S.D. 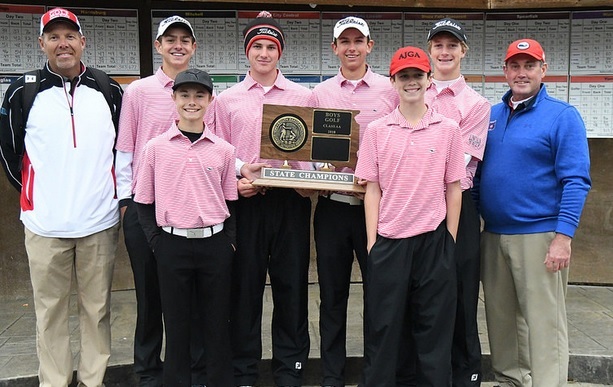 - Sioux Falls Lincoln edged out Rapid City Stevens for the team title as the State Class AA Golf Tournament wrapped up Tuesday. Lincoln finished with a 30 over par. Stevens finished with a 34 over par and Roosevelt was a distant third. The Scoopers finished in tenth place. Winning individual medalist honors was Ryan Neff of Lincoln, who finished with two day total of 145. Adam Salter of Stevens and Kevin Kolb of Spearfish finished in a two-way tie for second place. Both golfers finished with a two-day total of 149. Tice McVey of Sturgis finished in a two-way tie for eighth. At the Class A tournament, Tea won the team title with Sisseton finishing in second and Madison was third. Brock Murphey of Tea Area won the individual title with a two day score of 152. Nate Nielsen of Sisseton finished two strokes back in second. The top-placing West River athlete was Lance Christensen of Little Wound, who finished in a a six-way tie for sixth.